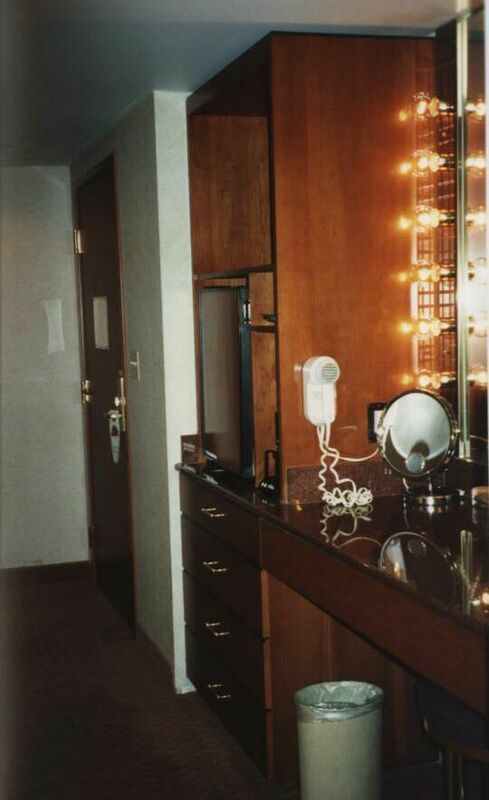 We often wondered what the suites were like at the RIO. 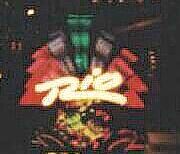 In January of 2002 we finally had the opportunity to stay at the RIO for four days. 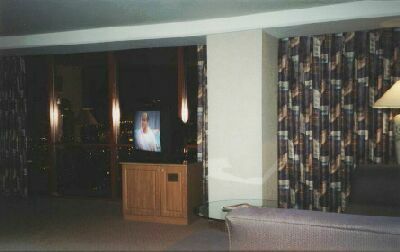 Our minisuite was up on the 36th floor of the Masquerade Tower facing south. 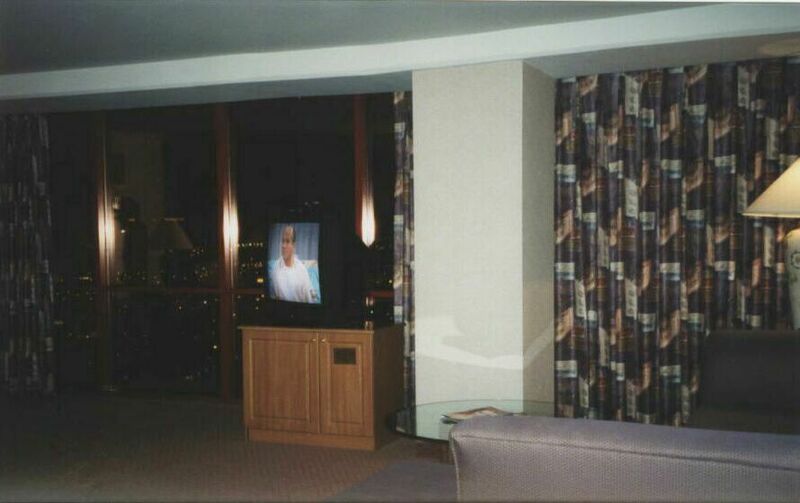 When we looked out of the windows we had a great view of the Palms, the resorts on the Strip south of Flamingo Road, as well as the planes circling the airport. larger image The entire south wall was windows from floor to ceiling. 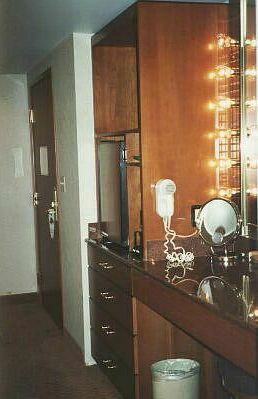 A large tv (32-inch) stood on a stand which contained a minibar. 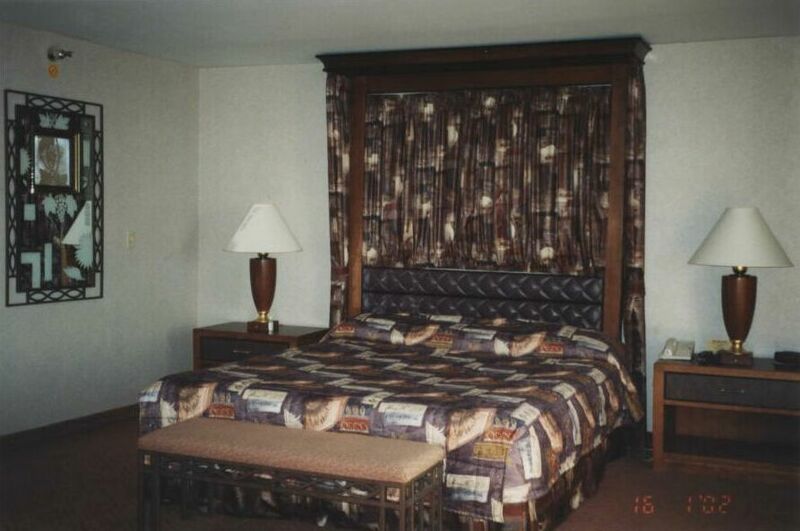 To the left was the king-size bed and the sitting area was on the right. 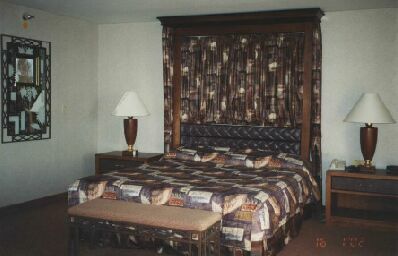 larger image To the right of the bed were the windows. 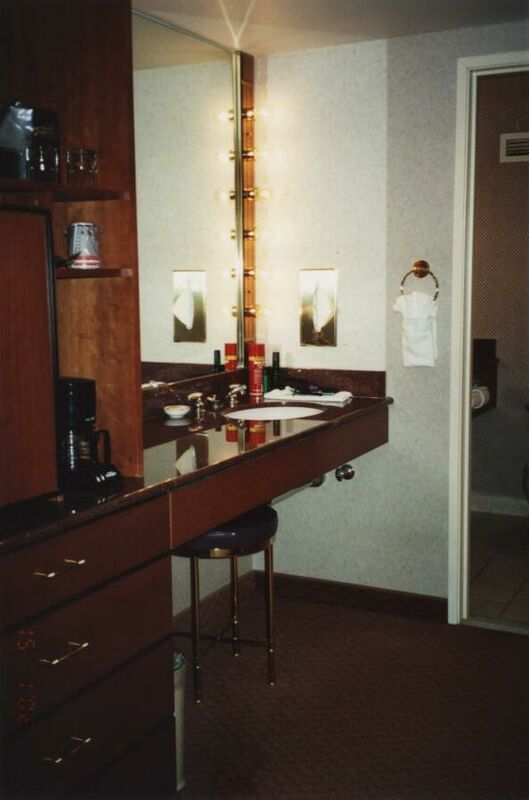 On the left (but not visible) was a table and two chairs. Across the room was the sitting area. larger image There was a nice, large, comfortable sectional which provided a clear view of the television. 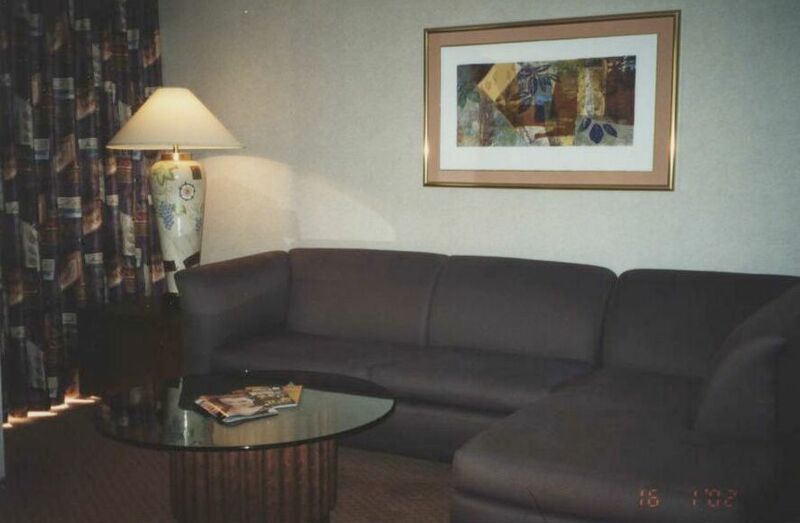 The sitting area also had a glass-topped coffee table and a huge lamp on an end table. 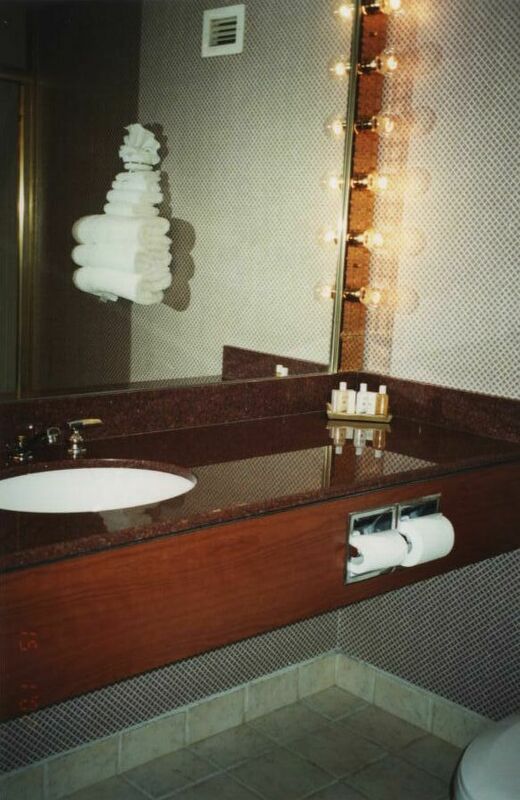 In the bathroom plenty of towels were provided daily. Bottles of shampoo, conditioner and lotion were also replenished every day. 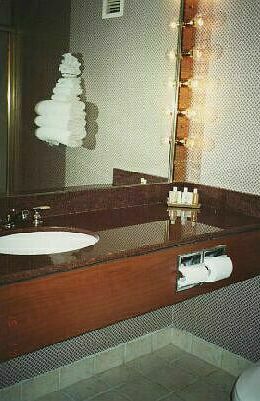 There was a large tub with a shower. It was very convenient having the two sinks/vanities in separate rooms. 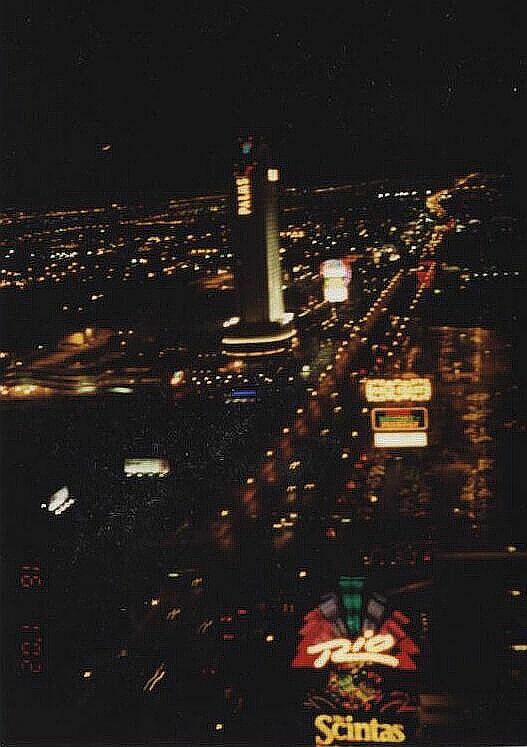 There is a shuttle running from the Rio to Las Vegas Blvd. A pedestrian walkway (adjacent to Flamingo Road) has finally been constructed so people can now cross over the highway to walk from the Rio to the Strip. MASQUERADE VILLAGE SHOW IN THE SKY features four different performances.